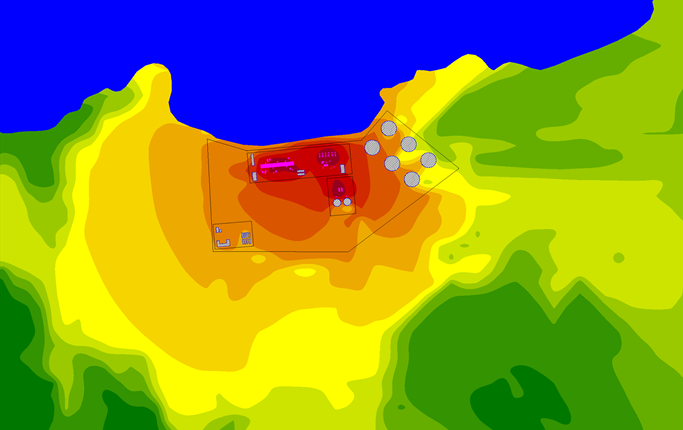 We can estimate the influence of plant noise on employees and the environment by using three dimensional noise modeling software. It is also appricable to assess noise inpact of additional equipment to existing plant. By predicting the influence of plant noise before construction, noise mitigation measures can be incorporated into plant design. Major mitigation measures, such as noise walls and equipment enclosures, are sometimes required and should be considered during design. 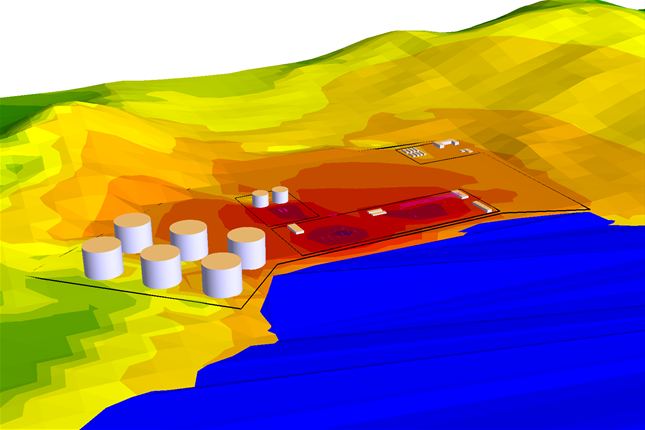 Chiyoda has conducted over 300 noise simulations for overseas and domestic plant. We are also has sufficient experiences of noise and vibration troubleshooting, by conducting site surveys and analysis technics based on an abundance of experience in acoustics, structural, fluid mechanics etc. Acoustic designs, noise issues etc. LNG plants, gas plants, petroleum plants, petrochemical plants, chemical plants etc. High noise at pressure reducing devices, such as pressure relief valves or restriction orifices, excites downstream piping, induces piping vibration and leads to high stress at the branch or welding support. Acoustic fatigue is a phenomenon that causes damage to piping by high stress due to high noise. Incidents have been reported in facilities including LNG plants and it is therefore important to adequately design piping from this safety point of view. 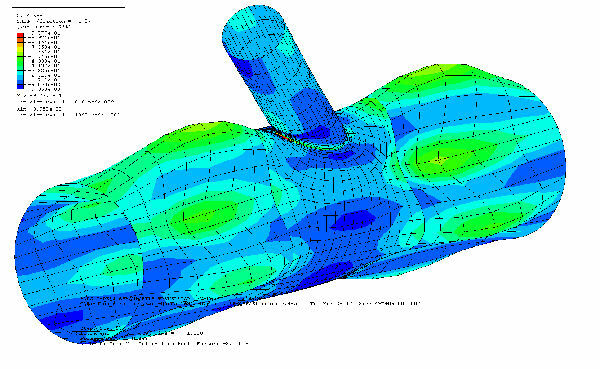 Evaluation methods for acoustic fatigue have been proposed by various organizations and we have developed an individual method based on these proposals. Acoustic fatigue investigation continues because unknowns remain regarding its generation and mitigation measures. By participating in Joint Industry Projects (JIP) on acoustic fatigue, organaized by the Energy Institute, a worldwide authority in this technology, we are working on the development of an international standard. Flare piping for depressurizing and all other high flow rate and high differential pressure valves.